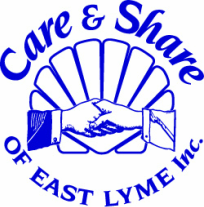 Receiving - Care & Share of East Lyme, Inc.
Care & Share of East Lyme, Inc. is a resource for individuals and families in East Lyme, Niantic and Salem, providing food, financial and emergency support. If you know someone who is in need of help, you may wish to give them the Care & Share telephone number. Individuals must call on their own behalf when requesting help. We do not solicit clients or people who appear to be in need of assistance; it is entirely their choice whether they choose to contact us. In order to receive assistance from Care & Share, the individual requesting assistance should first contact us via telephone, at 860-739-8502. The number is connected to an automated answering system that is checked regularly. Please leave a message stating your name, telephone number and the type of assistance you need, as well as a convenient time for a telephone responder to return your call. The responder will confidentially call you, explain our procedures and answer your questions. After a brief telephone conversation, the responder will mail you the required Financial Disclosure Form for completion. After the form is received and reviewed by Care & Share, the responder will inform you how we may be able to provide you with assistance. When a request for assistance is granted, Care & Share will deliver food or arrange for you to pick it up at the food pantry or another location. Emergency Financial Assistance is provided on a one-time, case-by-case basis for emergency needs, including, but not limited to rent, electricity, home heating oil, medication and clothing. Funds that can be distributed to clients are dependent upon the amount of money allocated for such assistance in the Care & Share budget, and the amount available at the time of a client request. Care and share will directly pay the vendor of the requested item or services, such as utilities, rent, home heating fuel or a medical co-payment. Clients who receive financial help should not expect to receive additional financial assistance sooner than six months from the time they last received assistance. The Designated Assistance Program provides a limited number of families with monthly monetary assistance for expenses such as rent, food, or utilities. If you have a need for ongoing financial support, a Financial Form must be completed and returned no later than November 1. Financial Forms are included in the September School Packets, or can be requested by calling Care & Share at 860-739-8502. Our ability to assist you in this way is dependent upon the amount of funds allocated in our budget, and the number of assistance requests we have received. Designated Assistance is therefore limited, but we will do our best to help. 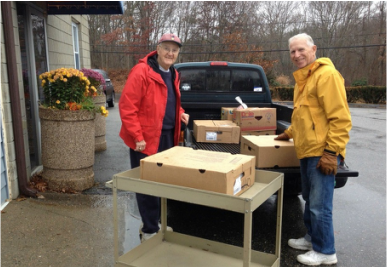 Care & Share assists our clients during the holidays by providing, holiday-themed food baskets, warm winter wear and gifts. On our "Free Shopping Day" clients can visit the Holiday Store and “shop” for a few new toys and gift items to supplement their holiday needs. To receive an application for 2015 holiday assistance, please call 860-739-8502 and provide contact information. Applications are due by October 30th for Thanksgiving and November 6th for December holidays. Care & Share is an authorized referral agency with United Way of Southeastern Connecticut for Project Warm-Up (home heating fuel). Project Warm-Up assistance is for cases where you can not get assistance from TVCCA or Operation Fuel. If you need home heating fuel assistance, please call us at 860-739-8502. We then may be able to make a referral to United Way’s Project Warm-Up. Those who receive assistance from this program receive a limited amout of fuel from a home heating fuel provider that is paid directly by United Way. Participation is limited to one time per heating season.